Madhu is a teacher in Dharavi. Dressed in a colourfully patterned kaftan, she stands between a steep staircase in her home and a narrow bathroom for her lessons. Outside her home and classroom is a basket filled with the randomly sized shoes of the children huddled inside. Usually, she gives them assignments and corrects. She teaches English, Marathi, Hindi, mathematics, Science and Social Studies. Maths is her favourite discipline. Her father who was born and brought up in Dharavi worked in a hotel and then for the railways. Even as a children Madhu and her sister knew that they wanted to teach. After marriage, she pursued an undergraduate teacher's training program and began working at the Bandra International School. After 11 years there, she quit because of the toll the long hours were taking on her health. “Tuitions have flexible hours and you earn more,” she notes, “now I can do my housework, teach my children, and rest.” Helping her children with their education is very important to her. They want to become doctors and eventually build the first hospital in her village in Tamil Nadu. Her classes begin in the morning: 9:30 to 11:30 am with 6 children; 4-6:30 pm with 10 children and finally 7:30-9:30 pm with 5 children. In the morning she finishes washing vessels, putting clothes in her washing machine and cooks food as her children and her husband are away. Now, she has even more breathing space because she has hired a friend to teach the morning classes. It costs her 1000 rupees a month, but she does it to help the friend who has been abandoned by her husband. If the job is well done, she will consider raising the salary. Each of Madhu's student pays between 300-600 rupees monthly. She doesn’t exactly calculate how much it adds up to as a monthly salary, as finances don’t matter to her. What does matter is independence she acquired. She sees herself as a feminist, and her business is an important part of her self-affirmation. Her salary adds to her husband's salary. Out of it she puts 500 rupees into a chit fund, and the rest goes in a bank. Her husband works as a pastor in a church in Kandivali, which provides the family with sufficient funds for a comfortable life. From a business perspective, Madhu does not care about competition or spreading her brand name. The appreciation her students give her is enough, she says smilingly. For example, her student Arshad manages to get passing grades only when he studies with her. When questioned on why she wants to teach, she replies with a poetic metaphor. The knowledge education has given me made me grow like a tree, and the next natural step for me to take is to pour my resources into ripening the fruits that are my students. It is not right to be selfish with my knowledge. It is this importance she places on the act of teaching that makes her critical of teachers in municipal schools. She complains that they use abusive language that the students pick up. Otherwise, unlike other teachers, she is indifferent to the quality of public and private education in Dharavi. For her, the schooling quality is not all that important because most children take tuitions anyways. 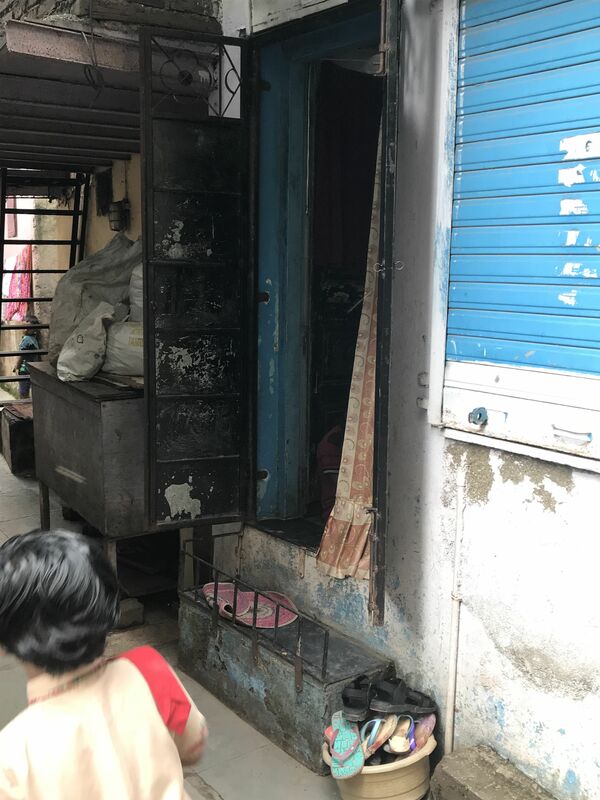 “Every street and turn in Dharavi has a home tuition,” she explains, “and the pricing is more or less constant.” It only fluctuate on the basis of location and the rapport with the tutor. Often parents pay the fees late by a year as they do not have enough funds. 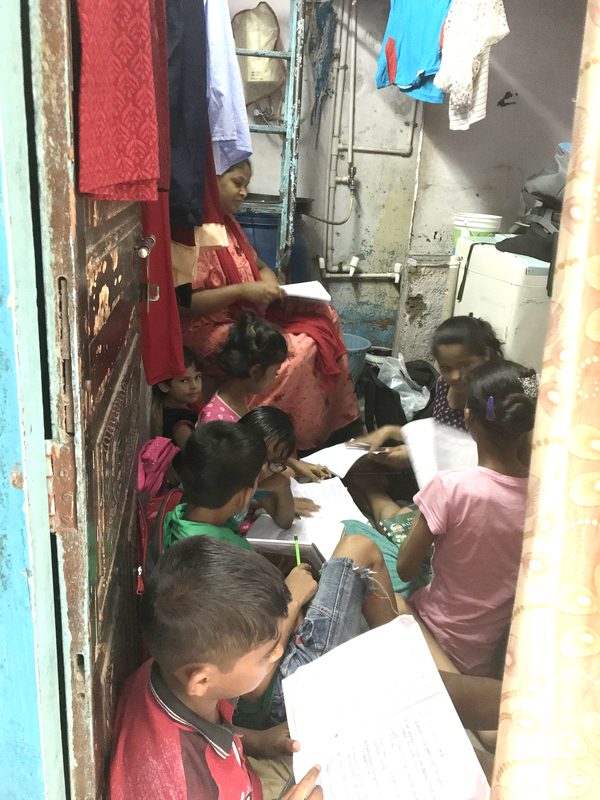 There is understanding and trust in being a tuition teacher in Dharavi, Madhu says. Moreover, she believes it is the women's right to be safe from attacks at any time of the night or day. Her husband and she often pray together to god to watch over the girls as they go home. Watching what happens in the news makes her fear for the girls of her country.